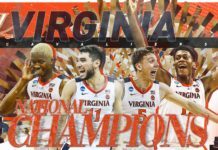 After their horrific 106-51 loss to Louisville Tuesday night, I figured the Pitt Panthers would find a way to rebound from that and get a win against the Clemson Tigers, who were in last place in the Atlantic Coast Conference (ACC) standings. A win would’ve ended their 5-game losing streak and at least given them some perspective in finishing their 2016-17 season with pride. Well, it’ll have to happen in their next game as the Panthers lost again. Although it was closer as they fell 67-60 to Clemson, it was a bad loss to a team that was the worst team in the ACC. Well, it’s safe to say that title now belongs to the Panthers who’re now 12-9 overall, but an agonizing 1-7 in the ACC. 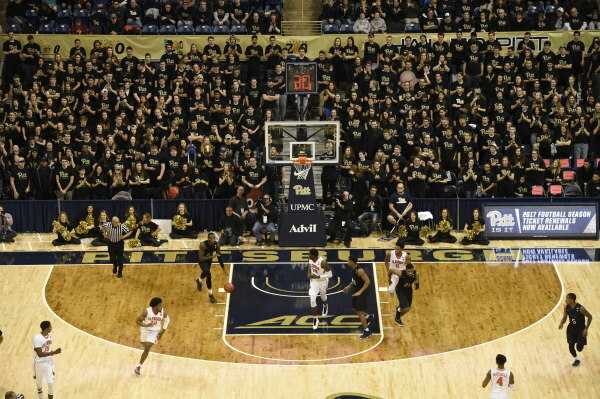 It’s no question that their NCAA Tournament hopes are done for this year, but don’t think the National Invitation Tournament (NIT) will be a sure thing for Pitt as well. This Pitt team reminds me of those Ralph Willard teams from 1994-1999, which I called the ‘Dark Ages’. Under Willard, Pitt’s best teams were only able to make 1 NIT in those 5 years. 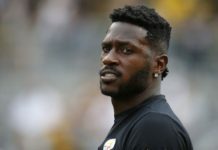 He did have stars in Mark Blount and Vonteego Cummings, but obviously, they didn’t make a difference on those teams. Just like Pitt’s stars aren’t making a difference on this team right now. It’s no secret that seniors Mike Young and Jamel Artis can make things happen, because they’ve done so on several occasions this season and Artis still leads the ACC in scoring with 21.3 PPG and Young 2nd on that list with 20.7, but neither of them have had a 20-point game in the past few weeks. I’ve said it before because it’s obviously no secret: As Young and Artis go, so do the Panthers. Right now, both are going nowhere, and basically, so are the Panthers. In this game, Artis and G Cameron Johnson (more on him later) led Pitt with 16 points, but was only 2-5 from 3-point range. It makes me wonder why he’s not shooting 3-pointers of late. This was the man who had 7 threes in his 43-point night vs. Louisville and 6 threes in the OT win vs. Virginia. Artis also leads the ACC in 3-point shooting at 41%. It makes no sense to me that he’s not using his best weapons to help his team win. And then there’s Young, who had already been struggling because of an injured eye (which I know hasn’t been easy on the kid) but it seems like he’s lost his mo-jo. He’s not as aggressive on both sides of the court and although he did lead Pitt with 8 rebounds, he’s not as aggressive in the paint as he once was. You take these 2 players out of the equation, and what do you have left? Johnson has had a season of inconsistencies as does Jeter and Jones. And junior Ryan Luther is still out with a right foot injury. I should be honest, that kid plays with heart. His absence is hurting Pitt more that they realize. Dressed in their sleek black uniforms, the Panthers did give the Tigers some fight as they exchanged leads with them for most of the first half. Young was showing spark as was Johnson, whom I basically call ‘Mr. First Half.’ but like most of the opponents who walk into the Petersen Events Center, Clemson has a couple of shooters who were getting the job done. F Jaron Blossomgame was on fire as he led all scorers with 25 points with 4 three-pointers and he kept his team in the game, even when they trailed Pitt by as much as 6 points late in the first half. The Panthers grabbed that lead when they finally decided to start playing some ball. They had trailed 30-28 before Young, Johnson and Artis propelled them to a 36-31 lead. You know, just like the old days, which was basically during their non-conference schedule. I was expecting the Panthers to capitalize on their 5-point lead when they started the second half, but instead they looked like Pitt vs. Louisville Part II. The Panthers came out flat, missing 12 of 13 shots while Clemson was making everything, turning a 36-31 deficit into a 52-42 lead with over 12 minutes to play. 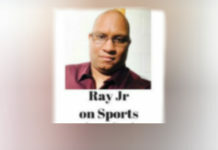 G Chris Jones, Young and Johnson did what they could to get Pitt to 58-53 and again when Pitt trailed 60-57, but the Tigers wouldn’t let the Panthers get too close as they didn’t trail the rest of the second half in-route to the 67-60 victory. 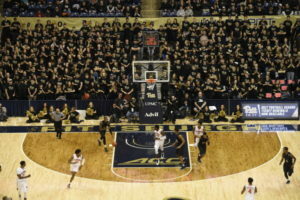 Pitt certainly had their chances, but their baskets weren’t falling through the hoop and of course their defense was basically non-existent to the dismay of a near sold-out Petersen Events Center crowd. “It’s amazing that we shot as poorly as we did in the second half and we had a chance to win the game.” -Said Stallings as his Panthers have now lost 6 straight. “We’re disappointed obviously. I think we competed a lot harder and smarter today that we have in previous games. The start of the second half was really our undoing. We are the type of team that can’t have a bad three or four-minute stretch.”-I totally agree. Well, the Panthers have 10 games left, and will face 2 of the ACC’s best in North Carolina (1/31) and Duke (2/4) and both are on the road. Whatever it takes for Stallings to motivate Young, Artis and the rest of his team to be ready to play these two great teams must start now, or we may see more losses like this.